Scan Archives: Selecting this scans inside archived and zip files. Launch at Windows Startup: Selecting this will launch the On Access scan at the start of your system, this may add some time to the startup process. Prompt when blocking cookies: Selecting this will display a message when a cookie is being blocked. Exclude Folders Tab: This is where you can exclude folders from being watched by the On Access Scan. Exclude Extentions Tab: This is where you can exclude extensions from being watched by the On Access Scan. 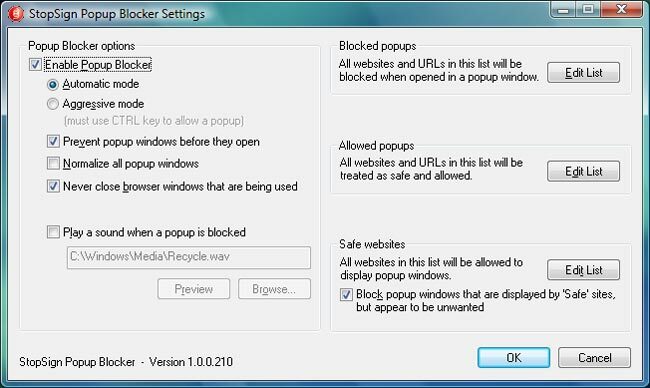 Automatic Mode will block popups from websites listed on the BLOCKED POPUPS list. If StopSign is blocking a popup that you are trying to open, hold down the Control (Ctrl) key and then try again to open the popup. Automatic Mode will block all popups from all websites. Disable Net Send (Windows Messenger) pop up messages. - Disables network administrator driven pop-up messages without using the Windows Administrative Tools. Customization: Users may also choose to add or remove URLs (websites) from the Blocked Popup List, The Allowed Popup List and the Safe Websites List. Scan Inside Archives: Selecting this scans inside archived and zip files. Scan Inside eMail Databases: Allows the Threat Scanner to scan items inside email databases on your system. 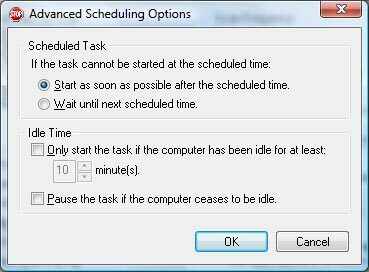 Scanner Scheduling Allows users to set scanner to scan at a particular time on a recurring basis. Detection Options Allows users to focus scanner to search for viruses only, spyware and adware only or all threats. Scanner Speed Allows the user to speed up or slow down the scanner, the faster the scanner is set to run, the more affect it will have on the operation of your system. It is recommended to run the scanner at a slower setting if you plan to continue using your computer while a scan is being run. 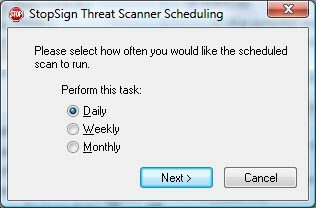 This tab allows the user to set their Software Station to either automatically contact the technical support team or be prompted for action in the event the Scanner finds a threat that is not automatically cured by the normal threat scanning process. CONFIGURATION ASSISTANT: Is a walk through tool that will step by step allow the user to configure their Firewall to meet their needs. UNBLOCK A PROGRAM: Allows a user to grant access to a program that needs an internet interface to function. BLOCK A WEBSITE: Allows you to customize your firewall to block websites from being accessed via your computer. 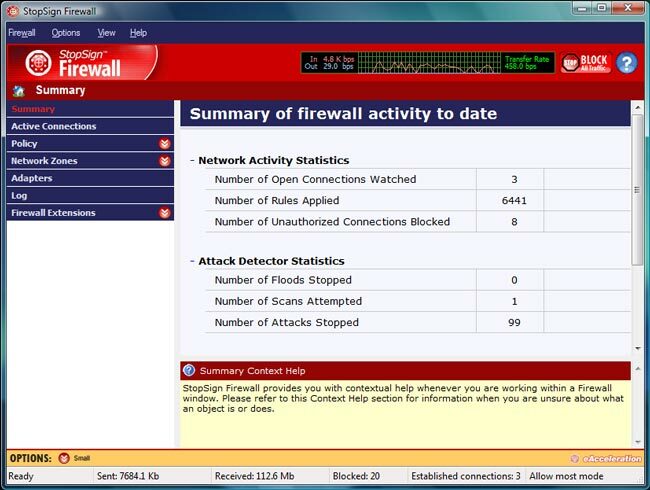 PASSWORD PROTECT FIREWALL: Protect your customized firewall settings by enabling password protection.